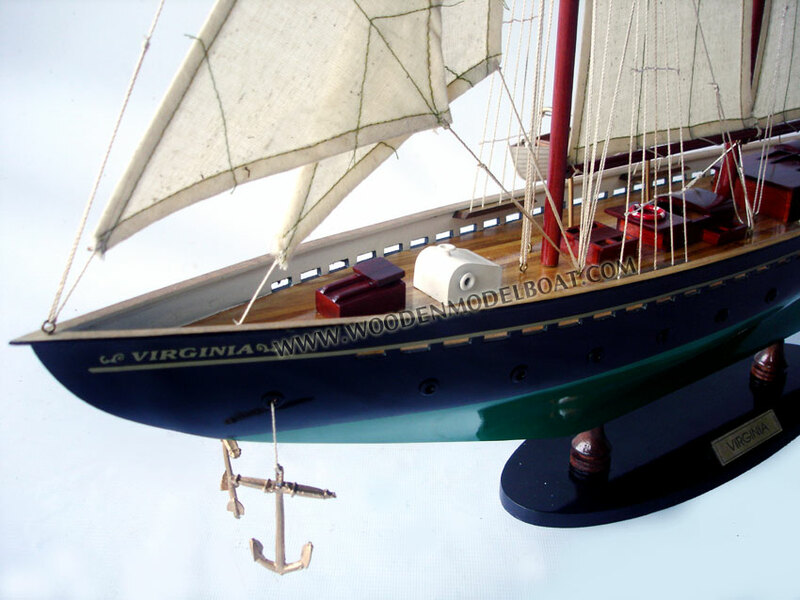 The original pilot schooner Virginia was the 5th ocean-keeping vessel owned by the Virginia Pilot Association. 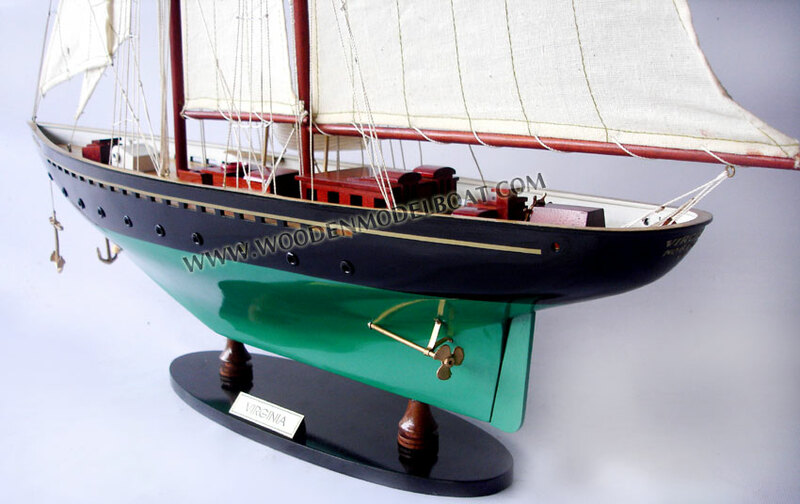 She was also the 4th wooden schooner, and the 3rd and last pilot ship built expressly for the pilots. 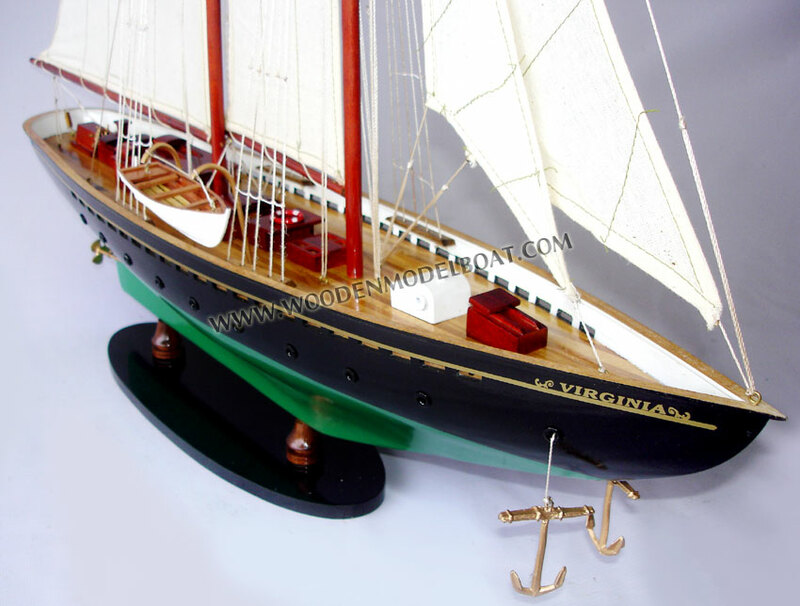 Although the Virginia pilots had entered the age of steam power with the coal-fired steam pilot cutter RELIEF some 25 years before, pilot President William Rowe Boutwell caused the schooner Virginia to be built in order "to keep the pilots sharp sailors" and to train apprentices. World War I had begun in Europe when Boutwell contracted with Marine Architects, Cox and Stevens, to design the pilot ship "along the lines of an America's cup defender". The plans, drawn on silk in the fashion of the day, were sent to shipwrights A.C. Brown & Son, Tottenville, Staten Island, New York. They completed her in late 1916. After sea trials and shake down cruises, several Virginia pilots entrained for New York to sail home their new engine-less ship. Her first duties were to remain in Hampton Roads inside the anti-sub nets and transfer pilots on and off ships moving into and out of the anchorages. They used sail and the tidal currents to maneuver near enough to a ship to send a rowing boat to transfer the pilot. 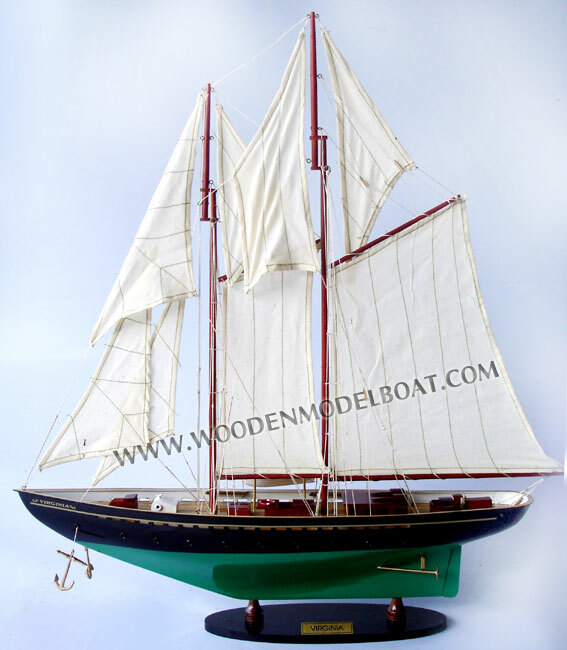 Having no davits at the time, she towed her yawl or fished it aboard, using a line such as a gantline (working halyard). In the closing years of WWI, with American troops fighting in France, convoys were moving steadily through the Capes. At that time, for some undiscovered reason, both Maryland and Virginia steam pilot cutters had to go into Norfolk harbor at the same time. 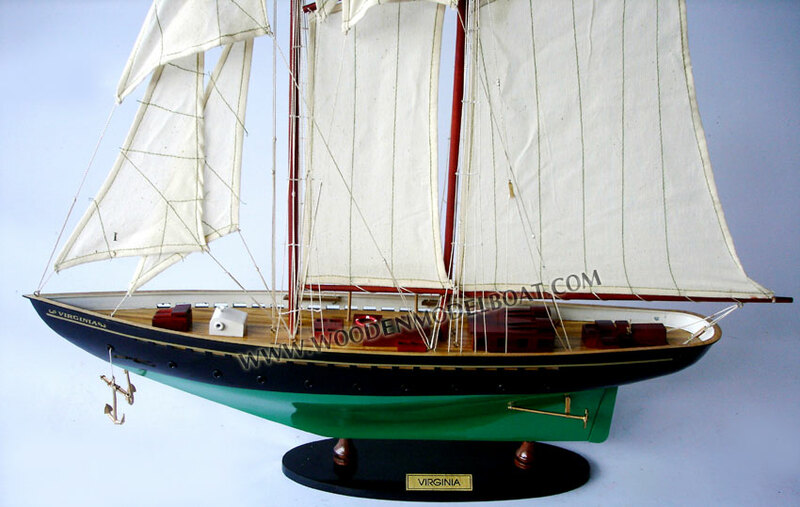 Pilot Schooner Virginia was left to board all ships in Maryland and Virginia convoys, while under sail, transferring pilots with rowing yawls. She did this for the better part of two days and nights before being relieved by the two steamers. Virginia left the pilot station at Cape Henry for Hampton Roads, passing Old Point Comfort, 15.3 miles away in one hour, flat. Virginia's food and water supply were depleted by the extra service she had just rendered, so she continued to her berth in Norfolk on the Eastern Branch of the Elizabeth River. 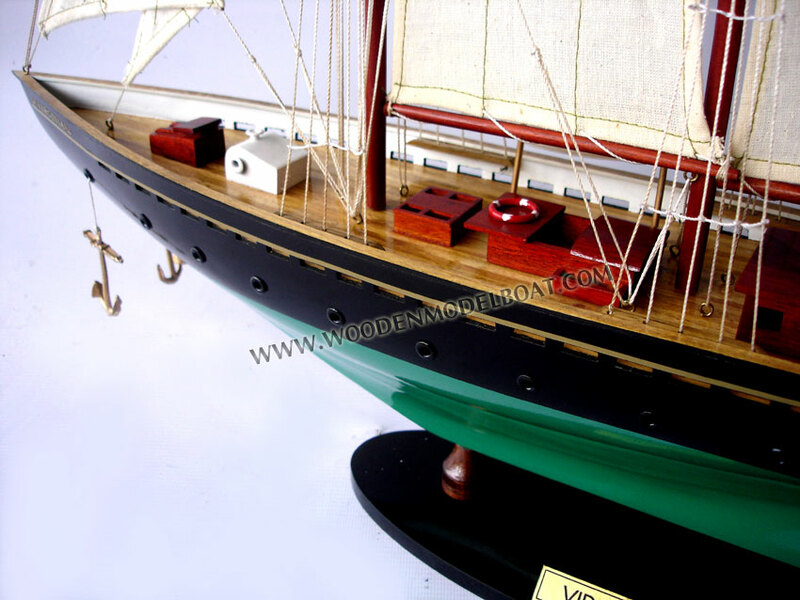 Once made fast in the slip, the vessel was loaded with the normal supply of food, water, and other amenities needed. All she had to do now was to wait for a favorable breeze. There were two Virginia's in Hampton Roads during that era. The other was a small, rather fleet ferry, the C&O Virginia, a.k.a. "SMOKEY JOE" to the locals. She shuttled passengers between the Chesapeake & Ohio (C&O) rail terminals at Norfolk and Newport News, Virginia. She made that run two or three times daily, quickly and timely. Pilot Schooner Virginia awoke to find the wind just right for getting underway. Pilot "Scobie" Guy was the ship's skipper for that month. Once they cleared the berth, Scobie tacked Virginia down river, past the spot where her new descendant is being constructed, as the Berkley Bridge slowly raised its cumbersome two sides. By then,Virginia was heeled down to where her 108 foot tall mainmast would not clear the roadway. At just the right moment, Scobie had his crew to slack sheets. The boat stood up, shot through the opened bridge, filled again, and romped away. At about the same time, "Smokey Joe" had left her Brook Avenue berth, with passengers aboard, bound for Newport News. Out in the river, just below Hospital Point, steam and sail began taking each other's measure. "Smokey Joe" could really move, and as her Skipper smiled and called for a few more engine turns, Scobie shook out a bit more canvas. Racing northward up the buoyed channel, the Steamer could not shake off the Schooner. "Smokey Joe," drawing five feet less water than the Virginia's 15 feet, always took the ferry channel through the anchorage to Newport News, and today was no exception. Scobie knew that the fairway was too shallow for the schooner and carried on another 1,000 yards or so before turning off the wind. 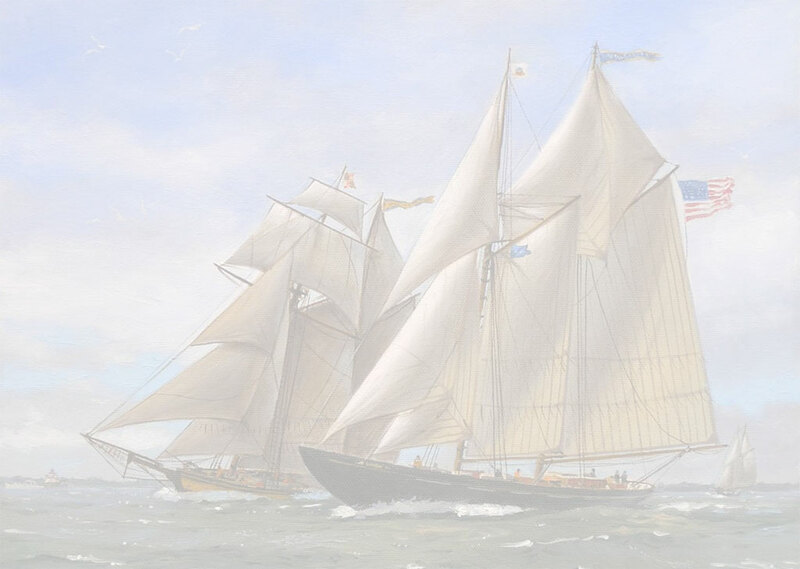 With wind abaft, the sleek schooner tore along after her slippery steam sister. She converged on "Smokey Joe's" wake and crossed her stern as the steamer slowed for her berth. Cheers went up from each vessel for a "well done". After WW I had ended, good sailors became more costly. In 1919, a pair of 75 h.p. 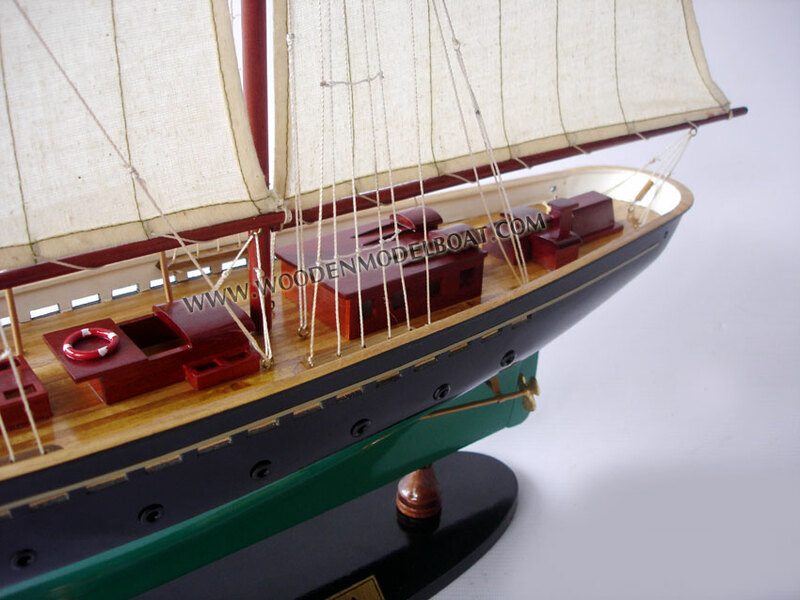 diesel engines were installed, with an awfully ugly, tall "smoke stack" right forward of the mainmast that necessitated shortening the fore boom. 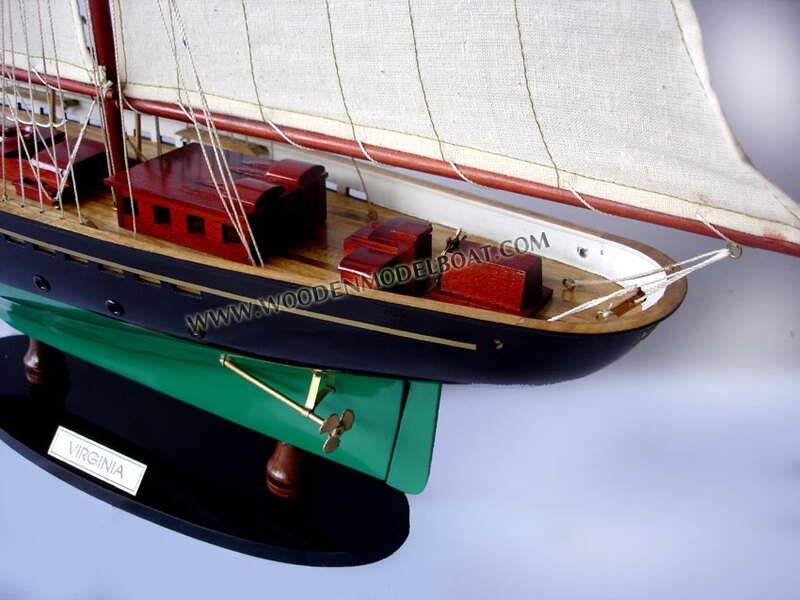 She carried her yawl boats in new davits. The surf boat, which transferred pilots, crew, blocks of ice, mail in canvas bags, food stores, engine parts, and most anything else, remained stationed ashore at Cape Henry. Boat Keeper O'Keefe responded to signals and, surf permitting, rowed off the beach to the cutter. In the 1920's, the local press began taking Virginia to task for entertaining and partying more than the press thought she should. Frankly, the pilots WERE politicking, forced to defend the Association from political attacks from an ambitious Governor Westmoreland Davis, running for re-election and using the pilots as a political football. One such party was aboard Virginia on a bright summer's day. They were at anchor near Hampton Bar. A glance at a chart will show that the bar is nearly vertical with four feet of hard sand on it. An afternoon thunderstorm pounced, as our local squalls will. Virginia slacked out her spare anchor, but continued dragging both anchors backward toward the bar. Besides being lofty, she now had that ugly stack in the wind, giving her a bad habit of not staying put in any strong breeze. In desperation, the crew dove below, unshipped the cast-iron cook stove, struggled top-side with it, and bent a hawser to it. They dropped this "3rd anchor" off the bow and the schooner checked up smartly. The squall passed quickly. The 3 "anchors" were retrieved as she sailed off the anchor to deposit her guests safely ashore. "Well, we were anchored in the main anchorage, a bit East of Middle Ground (Lighthouse). During the night, a strong Westerly came up slowly, catching most of us asleep. The watch called us out, hollering that we were dragging backwards towards the Virginia Railroad coal piers. She went across the anchorage, across Norfolk channel. Even after we got our second anchor over, she still slipped in between the two piers. That main boom you're talking about, it went into a window of a coal barge lying there. The Barge Captain's woman, about 300 pounds, came on deck and layed a cussin' on us like we had never heard before. You can be sure we left in a hurry." In 1939, a Mr. Walter K. Queen bought Virginia, registered her in Boston, but due to her 118 foot length, probably kept her at a berth in Marblehead. She stayed there throughout WW II and was sold in 1944. It is here that her wake trails away. More historical research or luck may possibly tell us the rest of the story of Schooner Virginia. 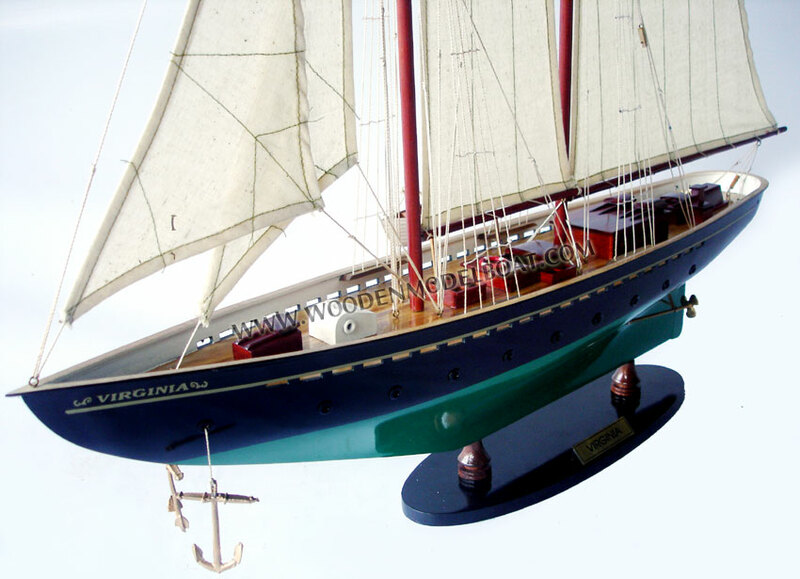 Packing term: Model is packed with mast fold down.